The small city of Oberlin, Ohio is not the first place that comes to mind when you think of a company specializing in creating high-output power upgrades for exotic cars, but it is in fact home to Switzer Performance Innovation. Started by Tym Switzer several years ago, the company is focusing on boosting the performance of any sports car. 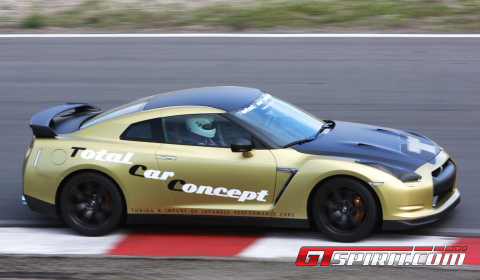 We stepped behind the steering wheel of one of their latest creations; the Switzer P800 GT-R and got the chance to experience the potential of this Godzilla duo on steroids at a proper race track. 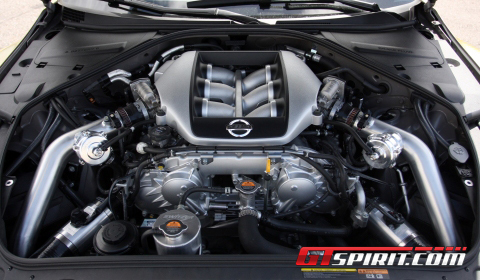 The tuned sports car is based on the Nissan R35 GT-R, the non image-boosting “halo car” from Japan. The standard setup is the 2010 model outfitted with numerous technical upgrades. The plastic interior and exterior design were kept the same. Even the multimedia touch screen system positioned in the center of the dashboard is still available and is quite a handy tool when tuned up properly. All the information needed is available at your demand and can be recorded onto a SD-card. So no changes on the outside or on the inside, so where does it influence the final conclusion of our initial GT-R review? We stated, and I quote, “The Nissan GT-R is a road-rocket dropped out of a video-game suited for your every day drive and a super-fast lap around the Nürburgring during the weekends. What else do you want?” Let’s answer the question by telling you the story of the P800. Switzer offers a technical masterpiece which only becomes visible once the bonnet is lifted. The first step in creating it is applying the Switzer P700 Power Package, which includes a new fuel injector kit, electronic boost controller, new Monster intercooler, upgraded turbochargers, high-pressure waste-gate actuators, P700 calibration ECU upgrade, MAF/intake and filter assembly, and high-flow turbo intakes for the SPI MAF. The Switzer P800 power package puts the vehicle in a different league producing up to a whopping 800 horsepower and an impressive 700 pound feet of torque. This is an improvement of 315bhp and 266 pounds off the scale. The kit includes the off-road test pipes by Switzer and the P800 multi-fuel ECU calibration. Additionally a cooling package is required for both programs which doubles the capacity of the stock system and has a lightweight aluminum construction. 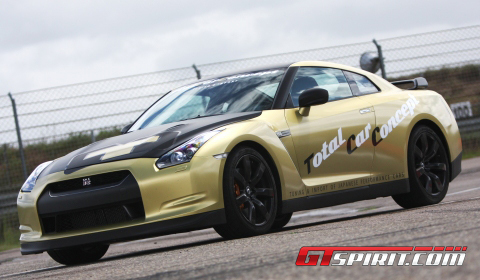 A ceramic coated titanium exhaust system helps to improve its performance as well as improving Godzilla’s tune. To achieve the maximum performance it is not just technical improvements that are key, but also the reduction of weight. Overall, the ride’s weight can been reduced by 200 pounds, as compared to the standard model GT-R, just by installing numerous parts from lightweight seats up to a different braking system. None of these were installed on the two vehicles shown in this story, but available upon request to create a track-biased GTR. All the changes improve performance drastically. The less-powerful P700 still develops 626hp at the wheels and performs a no-launch-control 0-100 sprint in 3.35 seconds and a 1/4 Mile of 11.28 seconds at 212km/h (132mph). The P800 package does even better with a top speed of 350km/h (217mph) and a sprint time from 0 to 100km/h (62mph) in 2.8 seconds, 0-200 (124) in 8.2 – 8.4 sec and 0-300 (186) in approximately 18.5 sec. A 1/4 Mile is done in less than ten seconds with proper tires and launch. The handling of the vehicle has not changed a lot, it was still amazing to see how easily you could drive it at the limit. The wonderful four wheel drive train has gained a massive power increase felt throughout most of the rev range. The car itself increases your feeling of insecurity at first, not knowing when the explosion of power will hit the road. Once you feel it though the major adrenaline rush starts and you want to experience it over and over again. 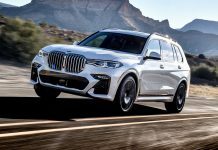 The wonderful package has not demonstrated a single flaw in our opinion, only that it has reached the capabilities of the stock six-speed twin-clutch gearbox. Switzer is working on replacing the stock system, but there is no news yet on any future release. Future users of the package will have the ability to choose their own cat-back exhaust system. Switzer can of course provide a system, but other systems can also be installed achieving a similar result. Both P800 GT-R’s used during the test differed only with respect to the exhaust. Within the drag races a clear difference in speed and pace was shown, but it remained unclear if the exhaust was the main factor. The Nissan R35 GT-R is a superb tuning project like its previous family members. With the P900 package introduced some weeks ago and the P1000 package definitely around the corner, the story seems far from finished. So if you have the money to play with the GT-R, then you will be able to boost it into the hypercar territory. We show and felt what Switzer Performance has created a strong package combining subjects like performance, drivability and reliability. 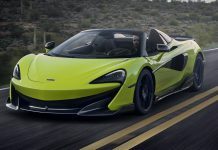 They will keep this lead for the foreseeable future and have definitely added some thrill to the Japanese sports car which seemed ‘mechanically untouchable’. Both vehicles were created by Total Car Concept in Bleiswijk, The Netherlands, official dealer for Switzer Performance Innovation packages.